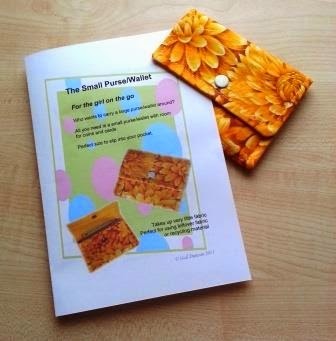 Today I am adding my Small Purse/Wallet pattern that I wrote several years ago. There are many ideas out there on the internet, but I have adapted this one to the size that I like to carry around. I am not into large purses or hand-bags so this one has been perfect for me. I rarely carry cash on me so the need of a purse is questionable. Of course it could be made bigger by cutting out a larger pattern to begin with. Not difficult. The project uses up very little fabric and could be made from scrap material. I often use a cast-off blouse/skirt and recycle them into something else. If you would like the PDF pattern I will put a link into the picture. I am sure you will make more than one once you get going. Enjoy!